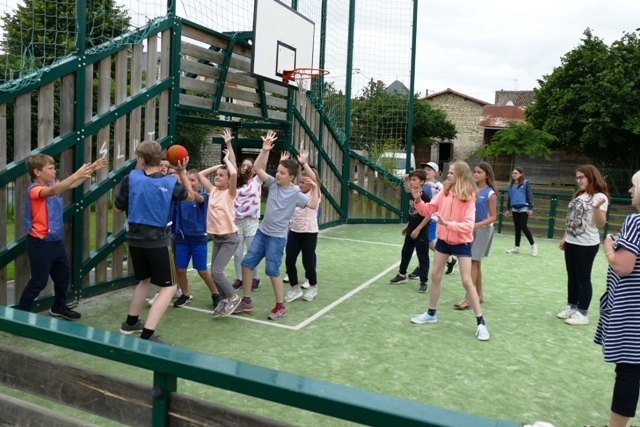 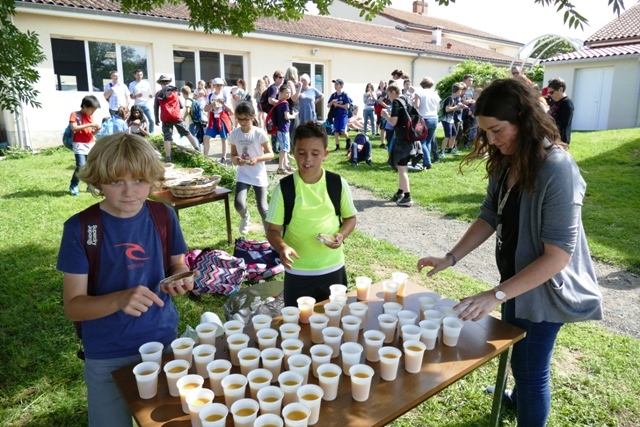 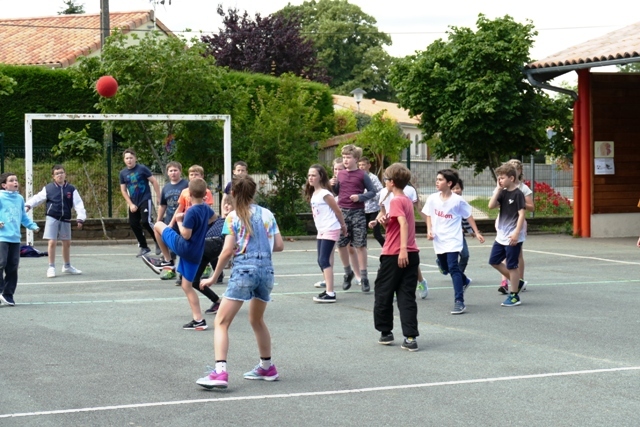 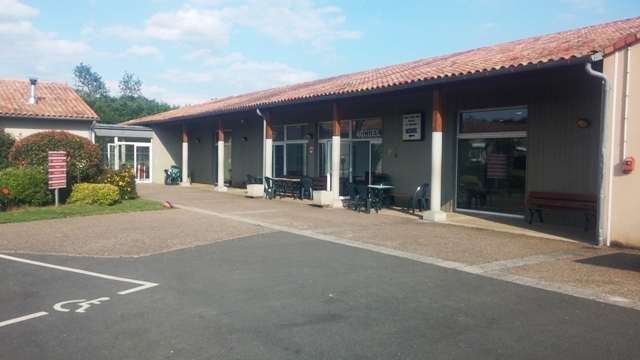 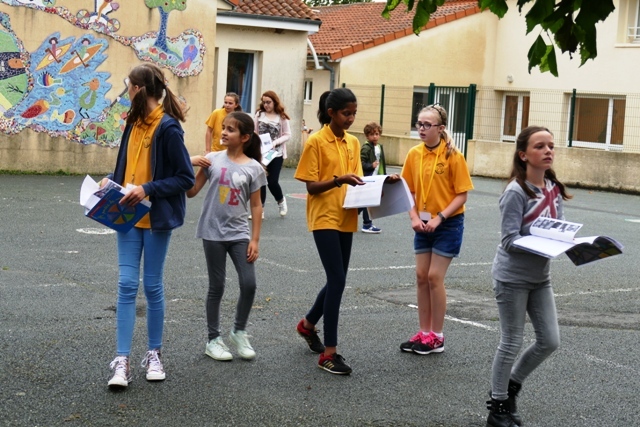 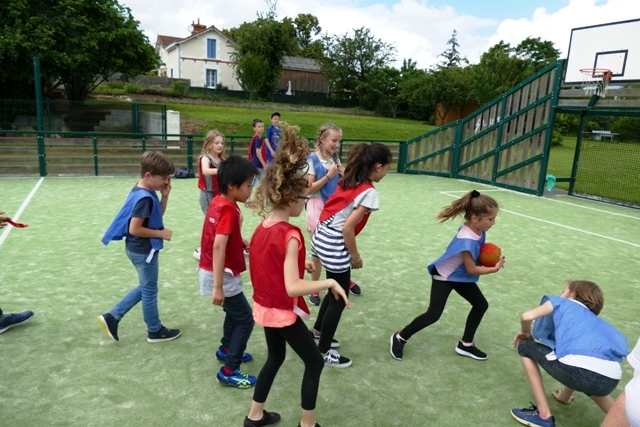 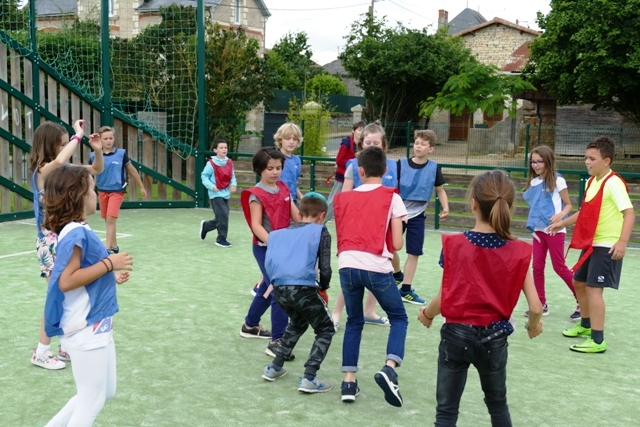 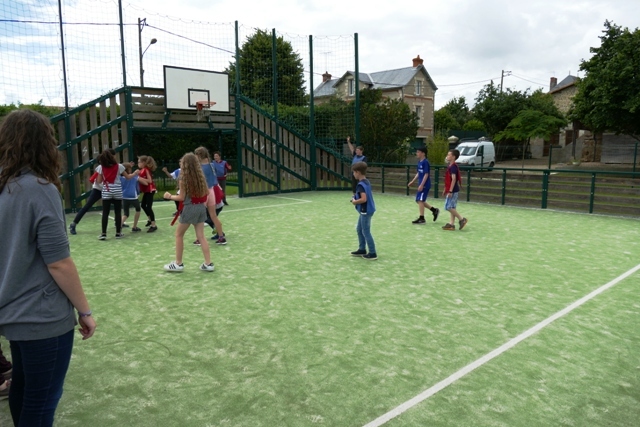 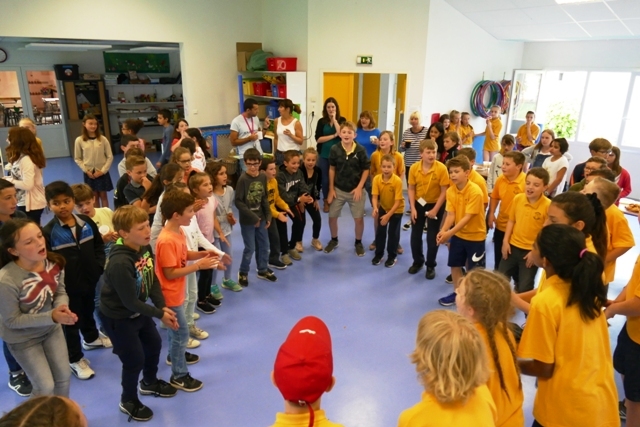 Sunday 10th June 2018 was the start of our fourth visit to our partner school in St Cyr, near Poitiers. 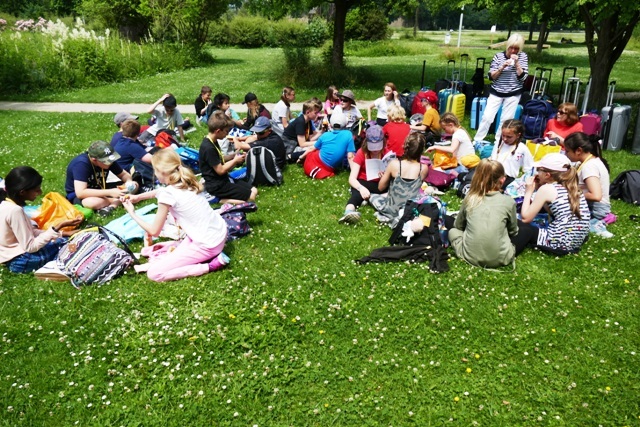 Once again we given a warm welcome by the staff both of the school and the residential centre. 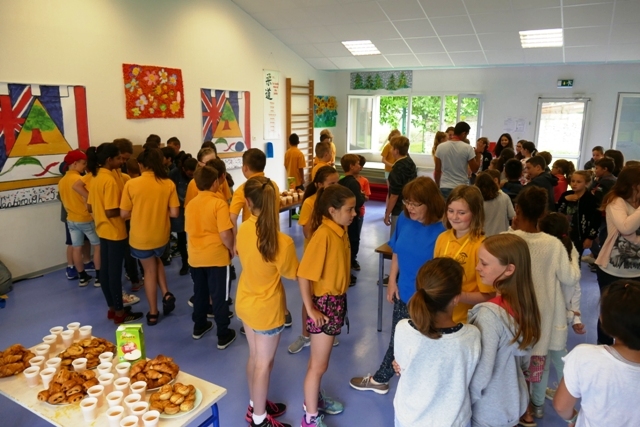 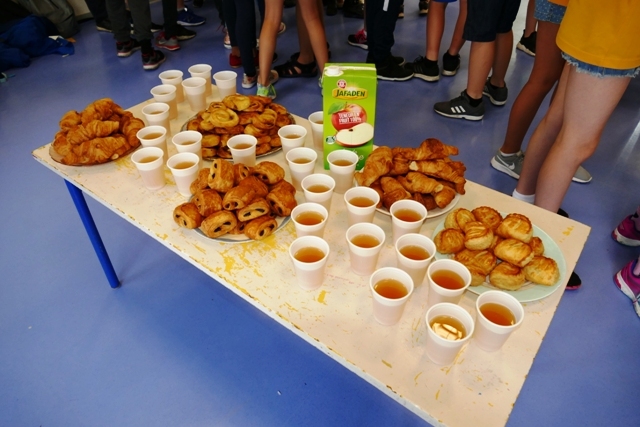 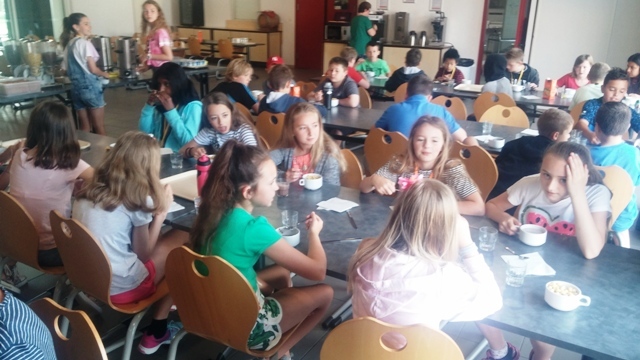 On Monday morning, we met up with our friends and pen-pals at the school, enjoying a second breakfast of juice, croissants, pain aux raisins and pain au chocolat. 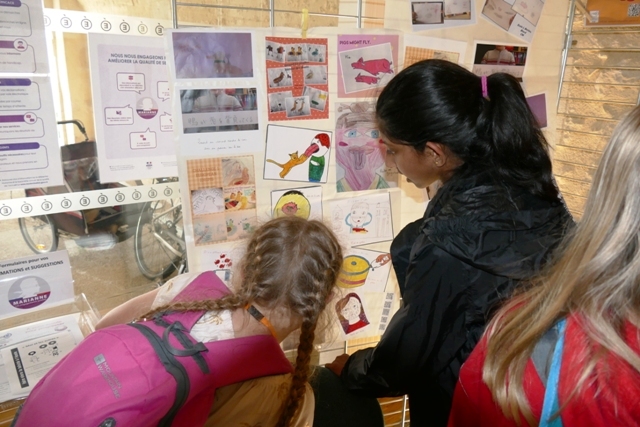 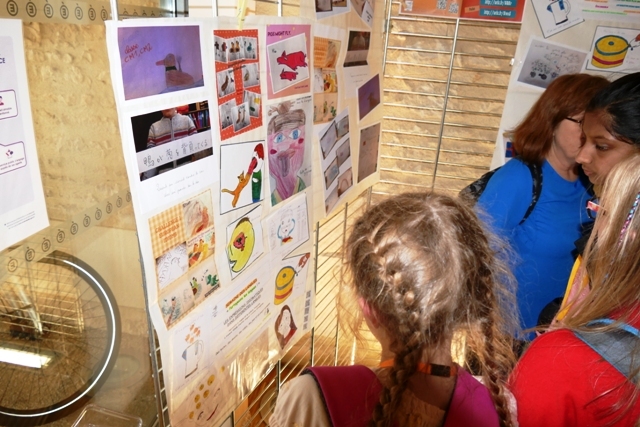 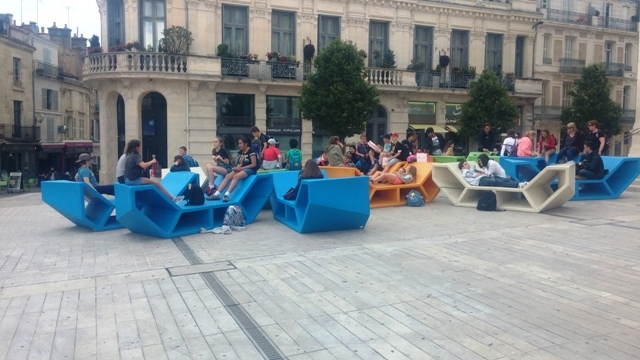 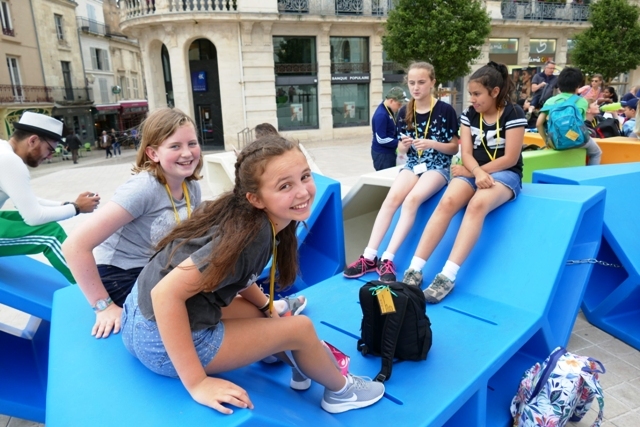 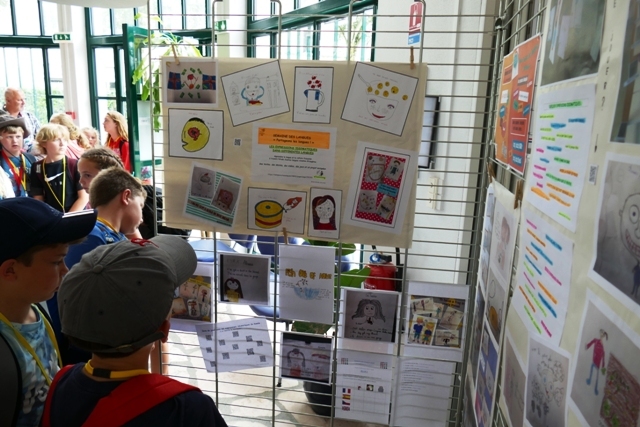 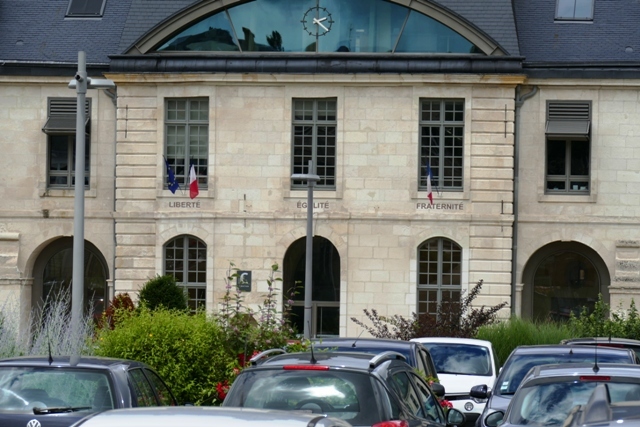 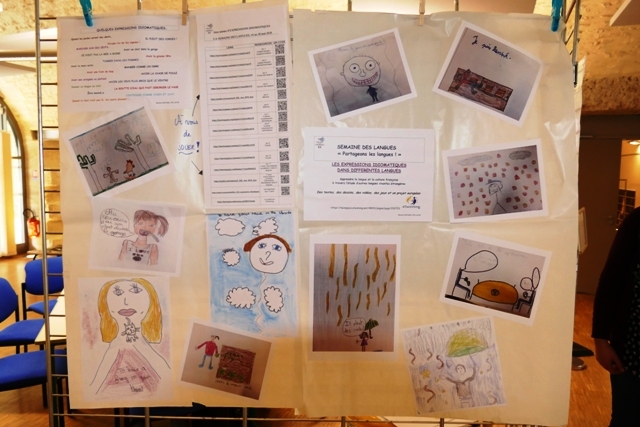 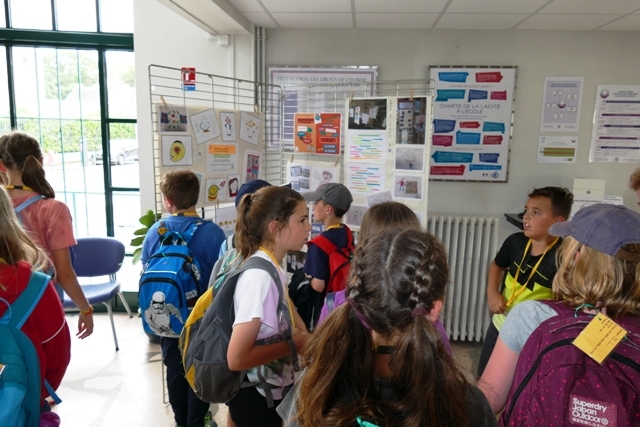 After lunch at the centre, we took a coach into Poitiers, where we explored the historic town, visited the local education offices, where we able to see our work on 'idioms' displayed with the French partner schools' work. 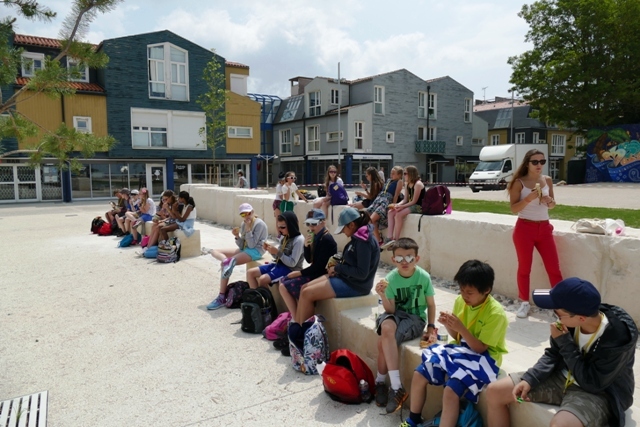 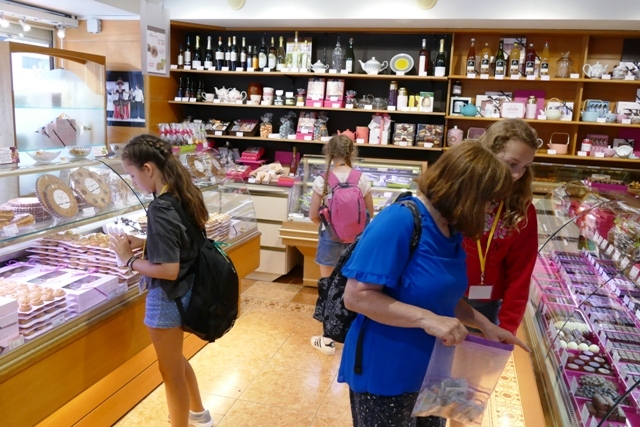 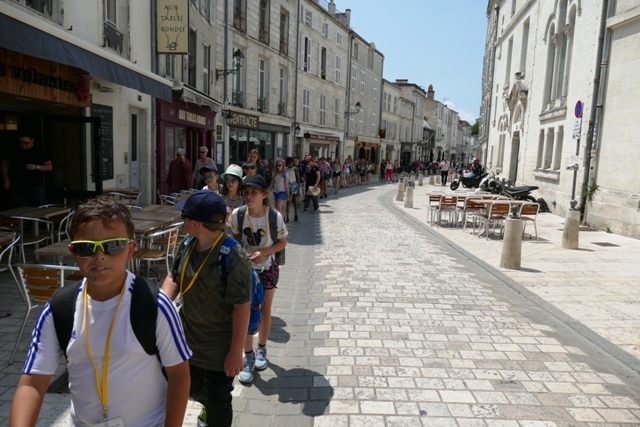 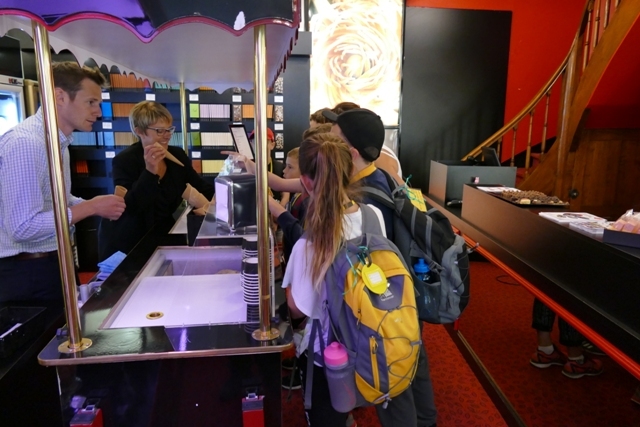 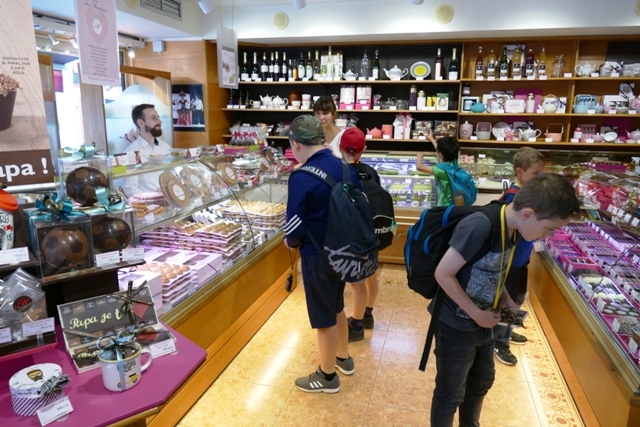 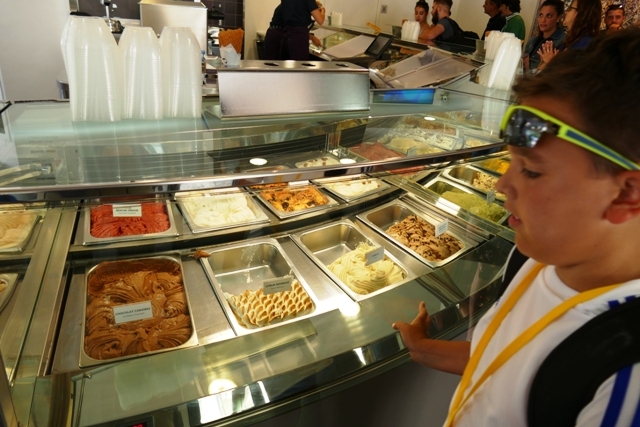 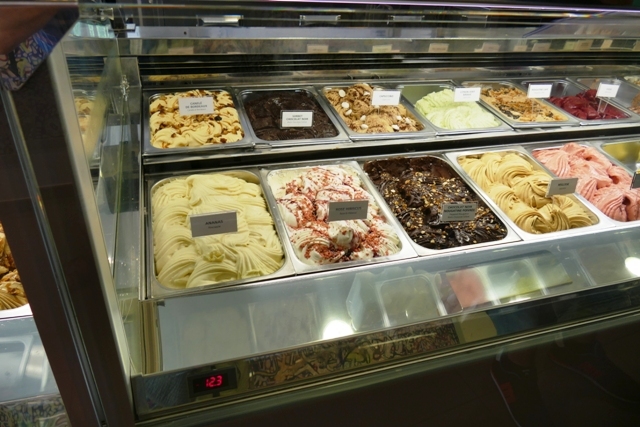 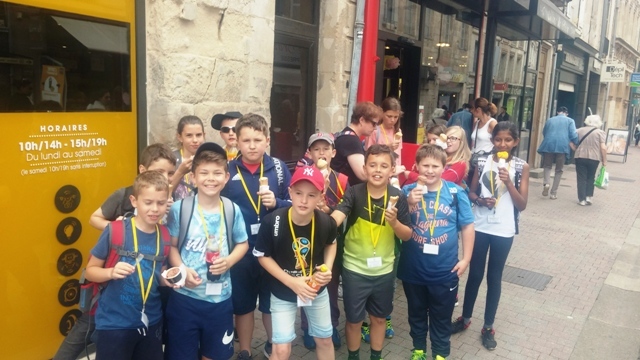 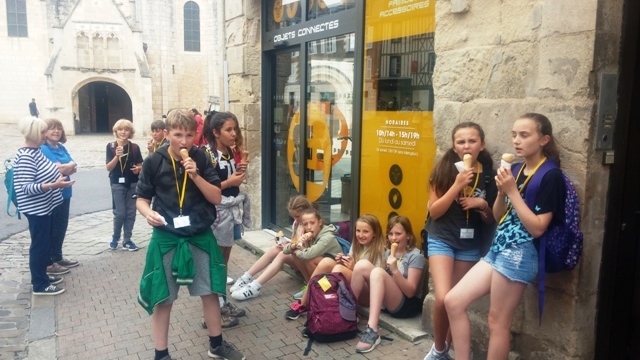 Ice-creams were also purchased, a chance to try a few words of French, and some shopping in the amazing chocolate and macaroon shop. 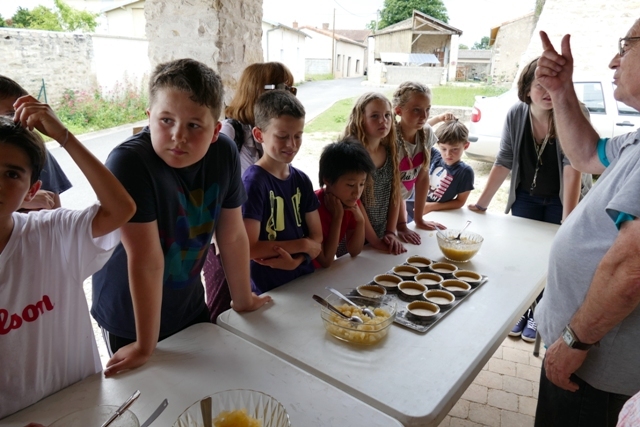 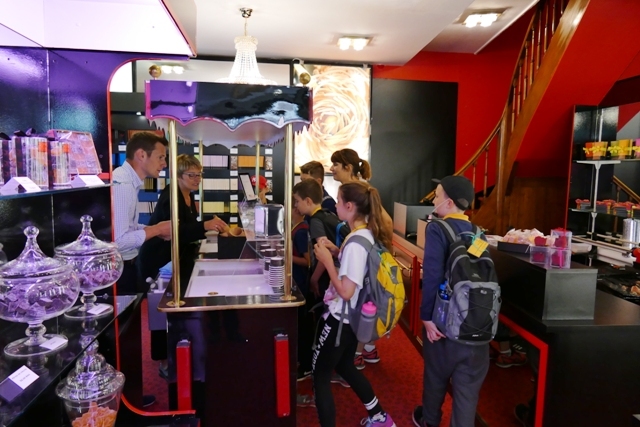 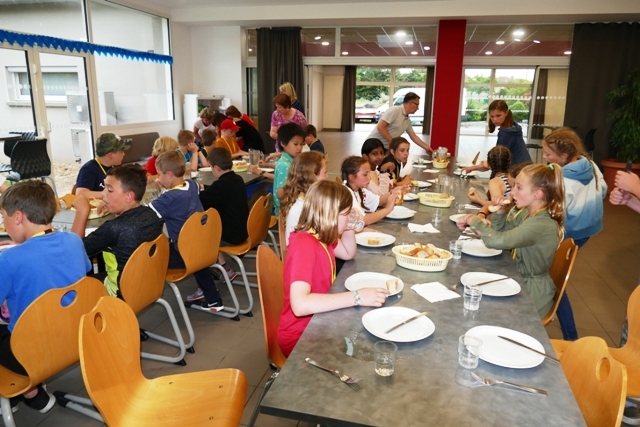 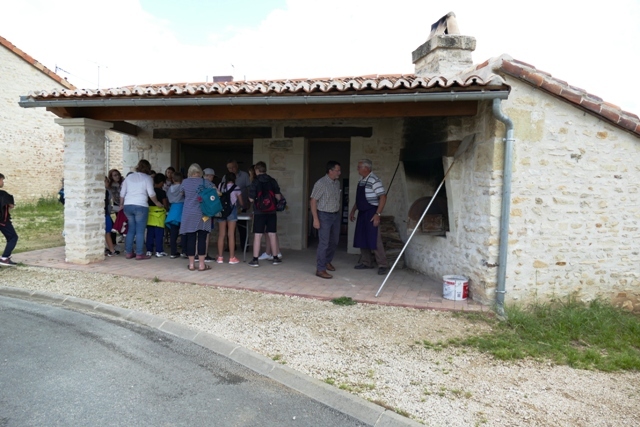 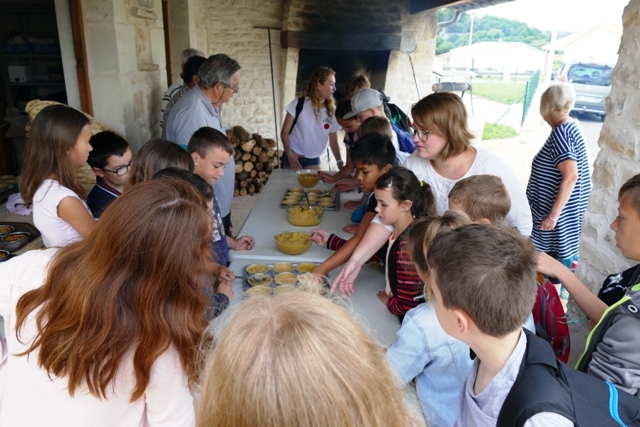 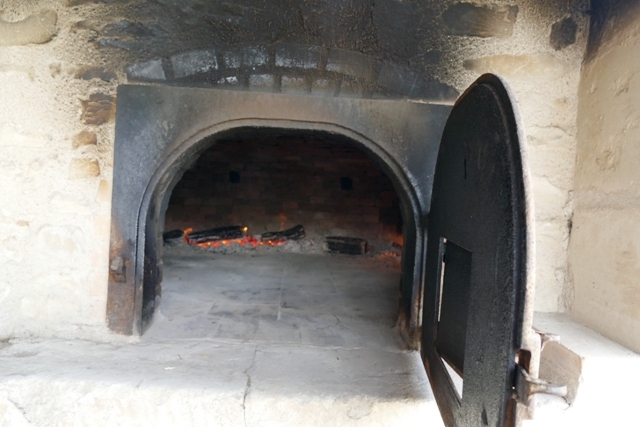 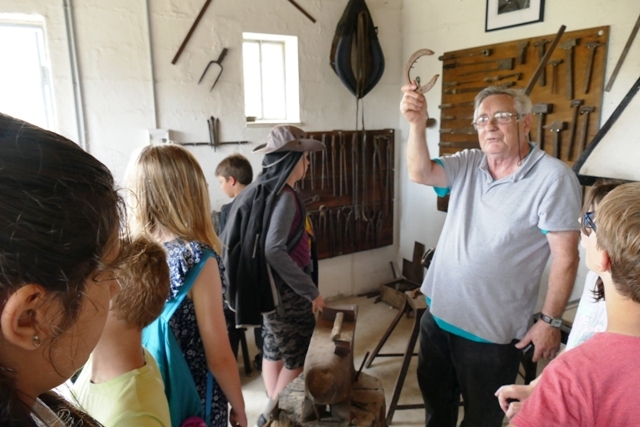 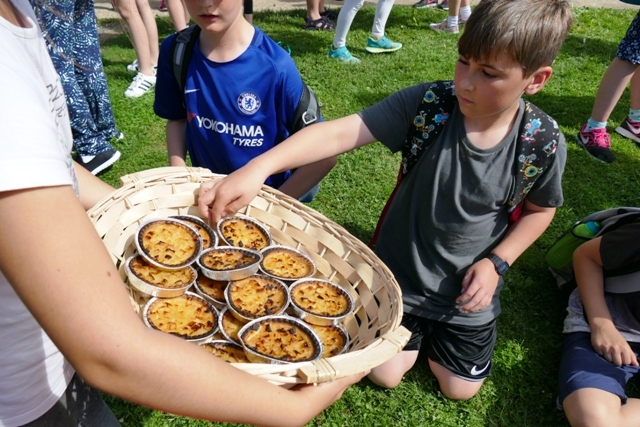 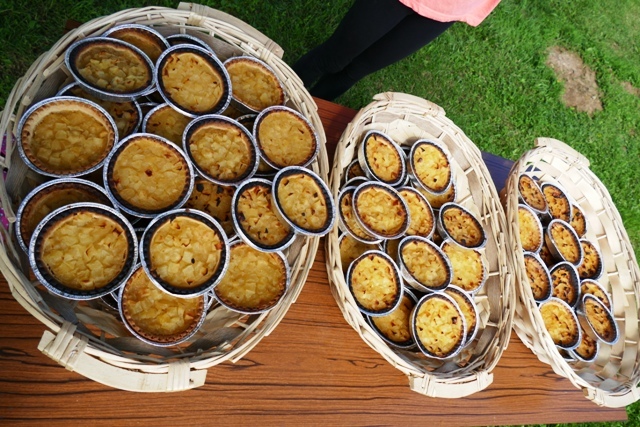 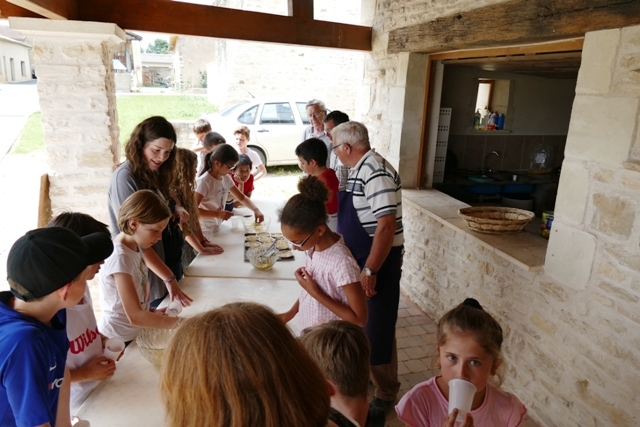 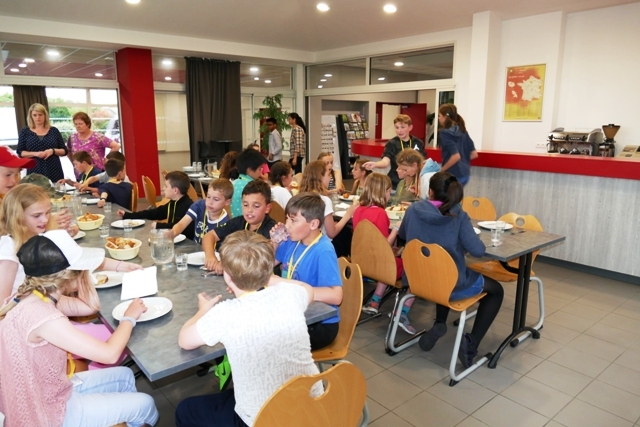 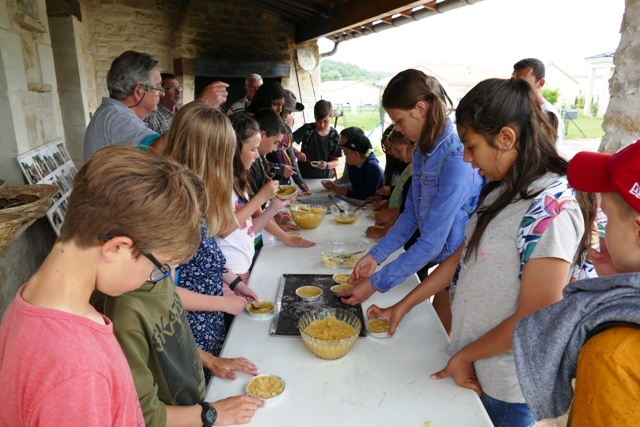 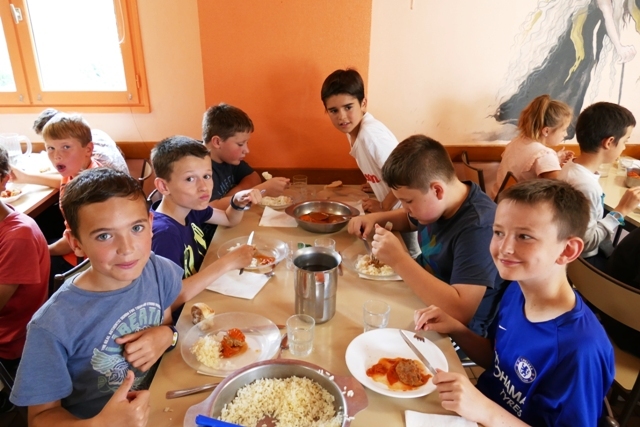 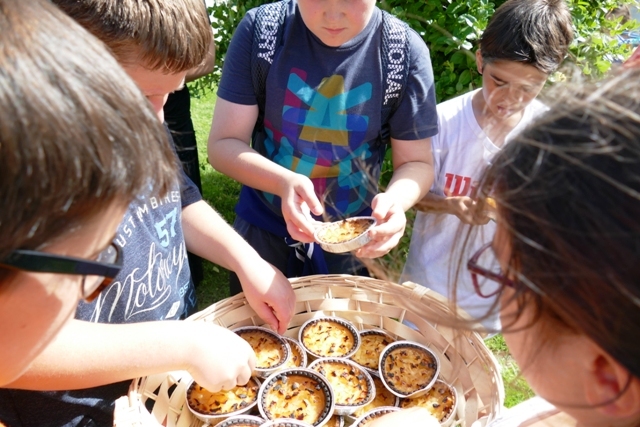 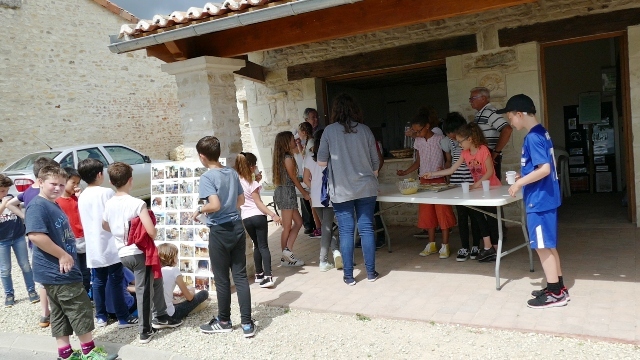 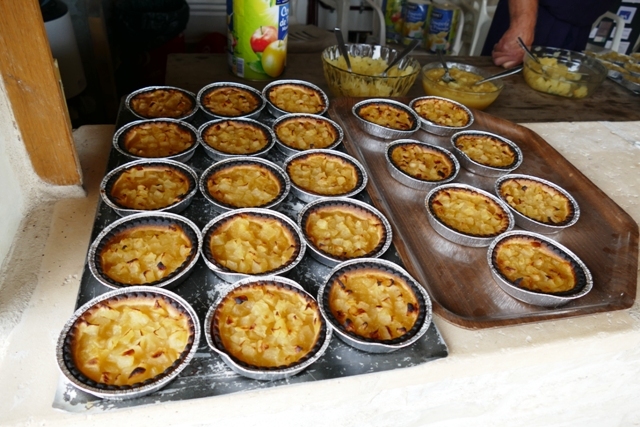 On Tuesday we took part in a number of activities in school with our French partners including cooking tarte aux pommes at a restored wood burning oven in the village, sports, animations with modeling clay and, of course, the food tasting! 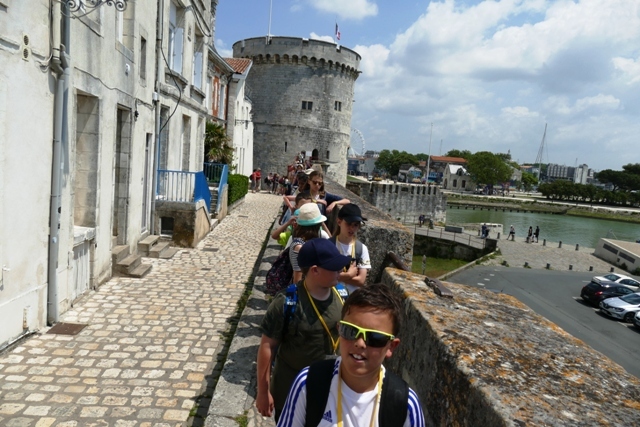 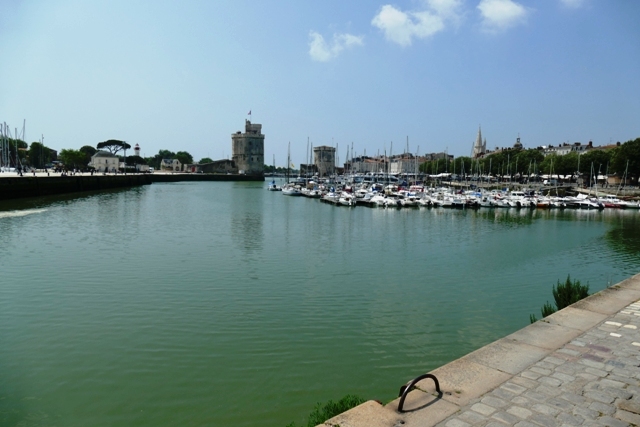 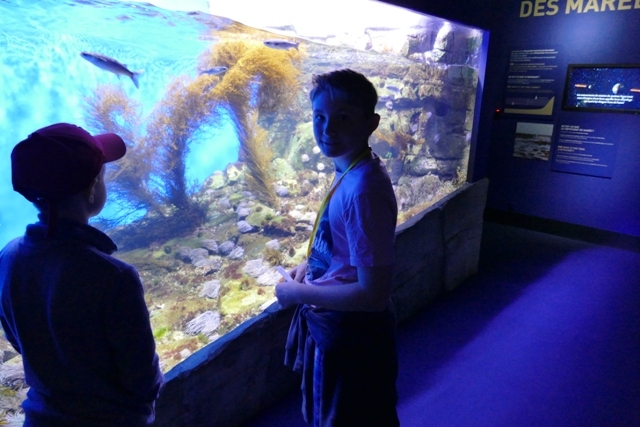 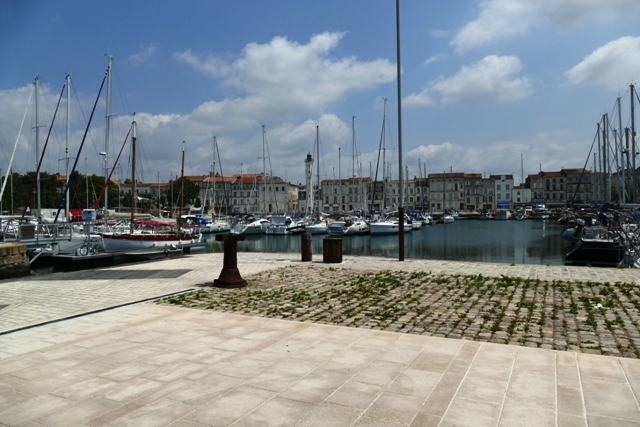 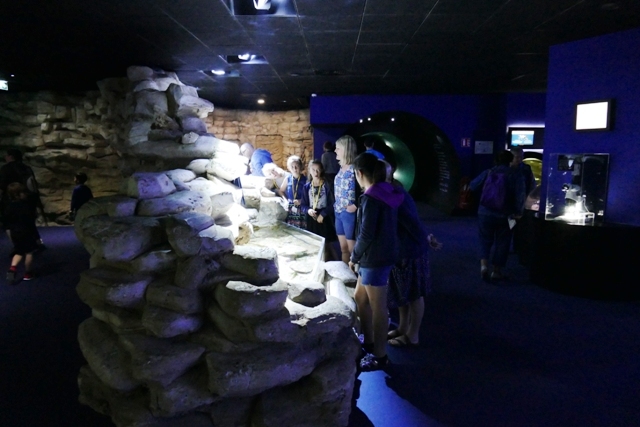 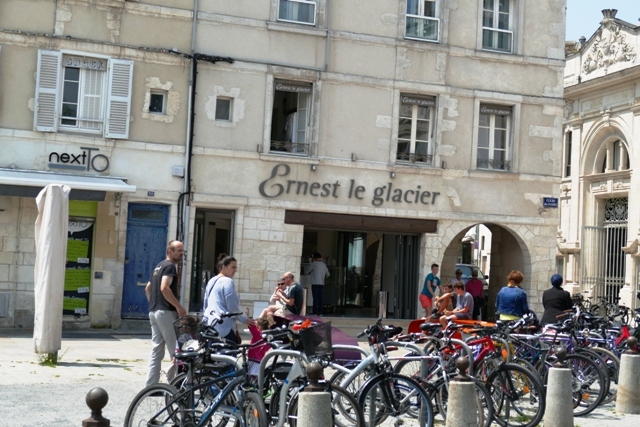 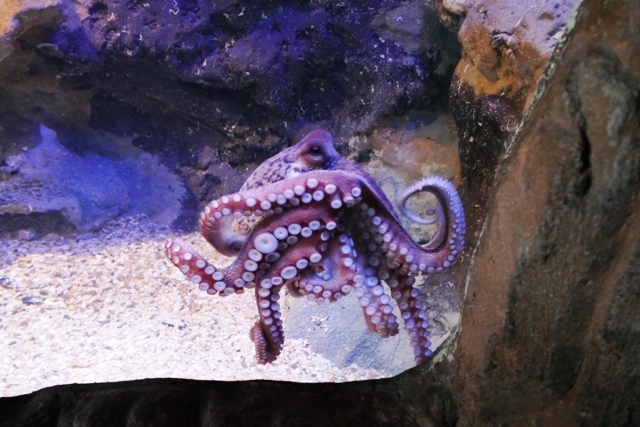 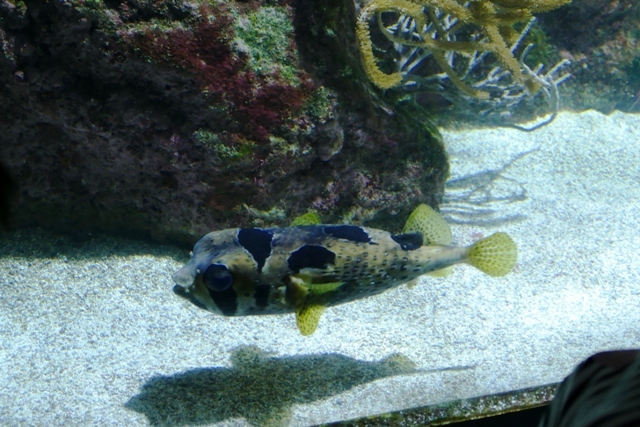 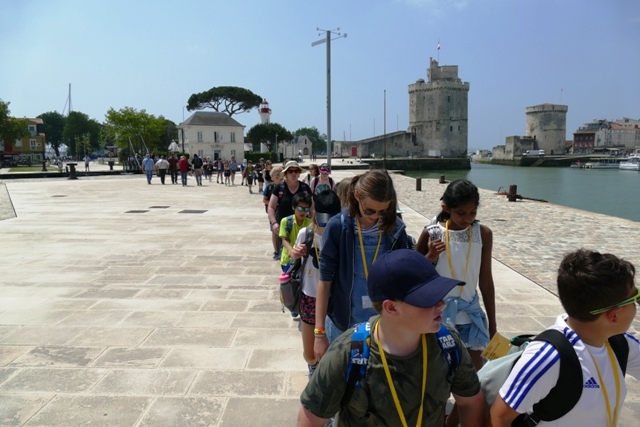 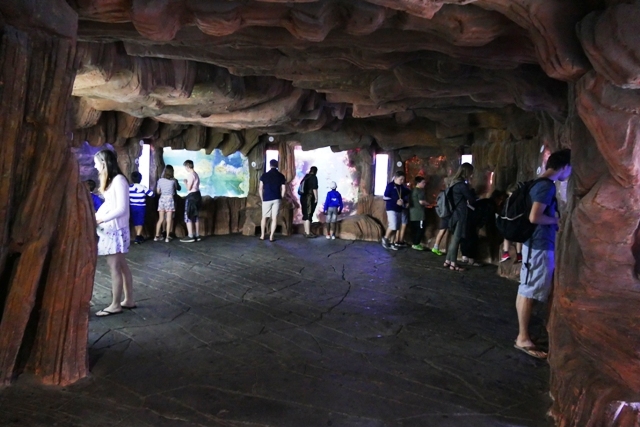 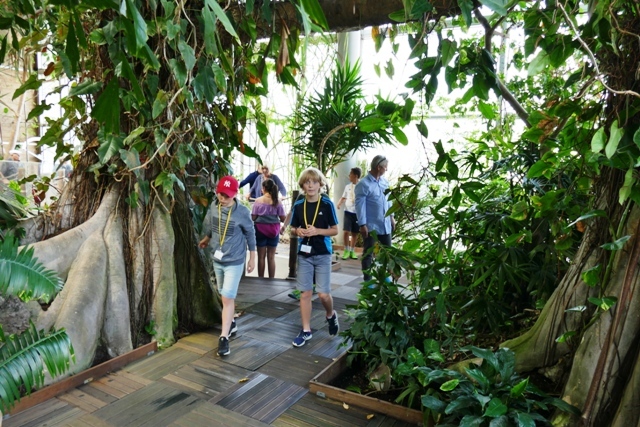 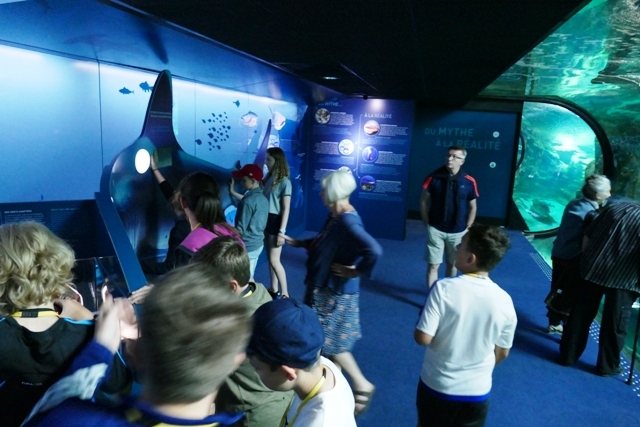 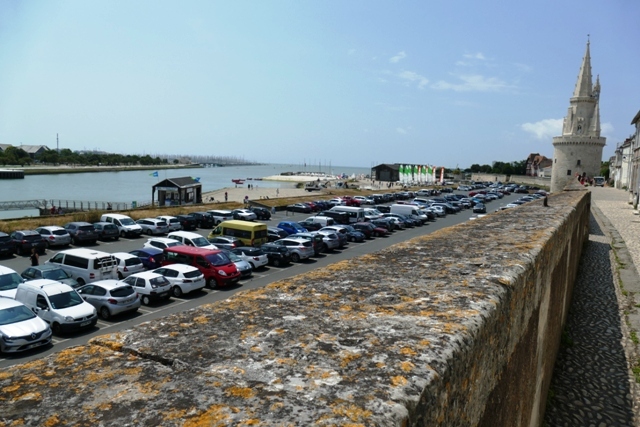 On Wednesday we once again visited La Rochelle, where we visited the superb aquarium and a stunning ice-cream shop. 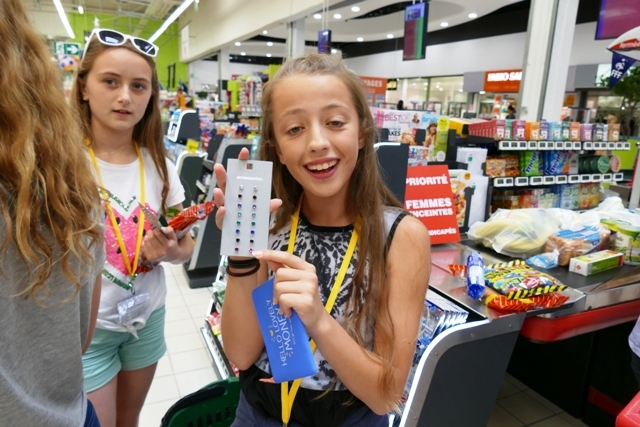 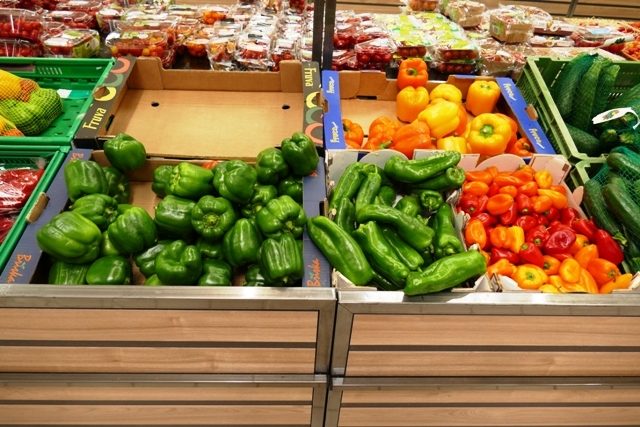 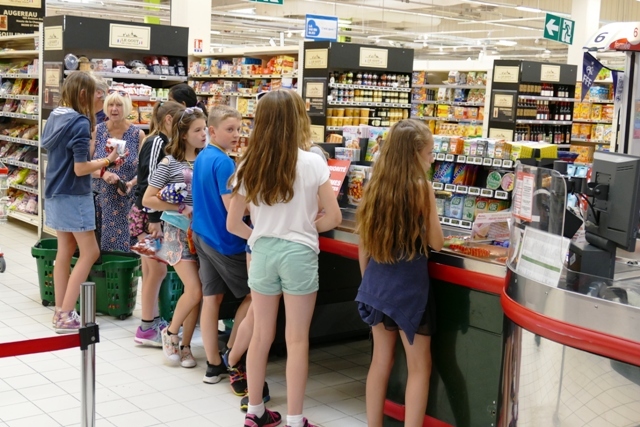 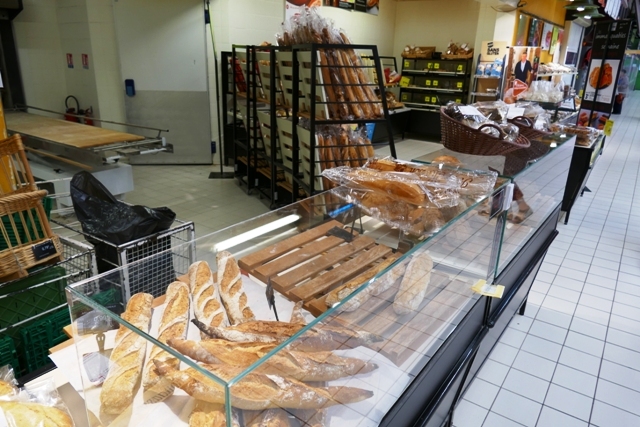 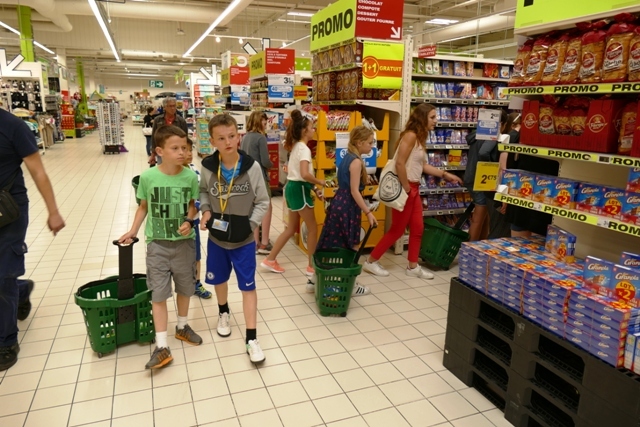 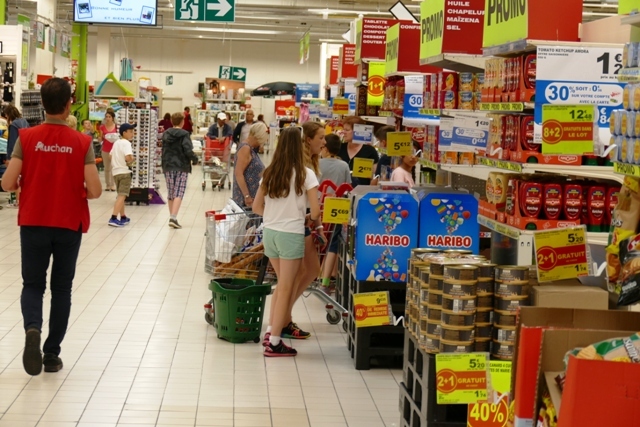 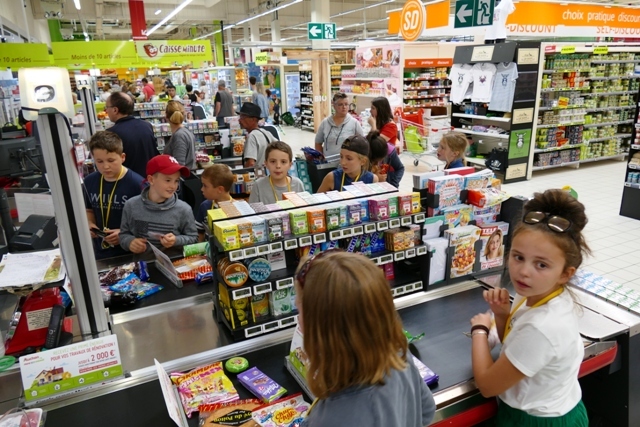 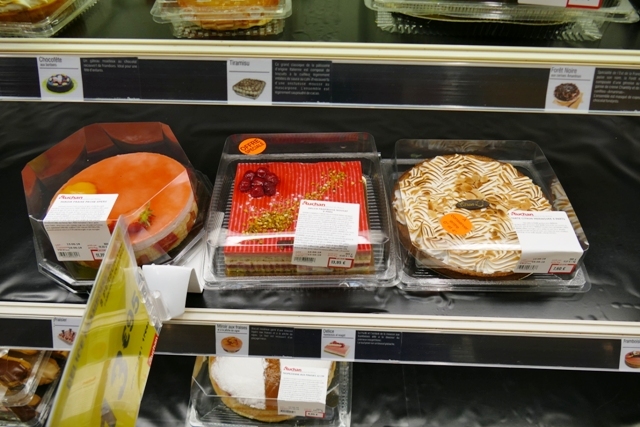 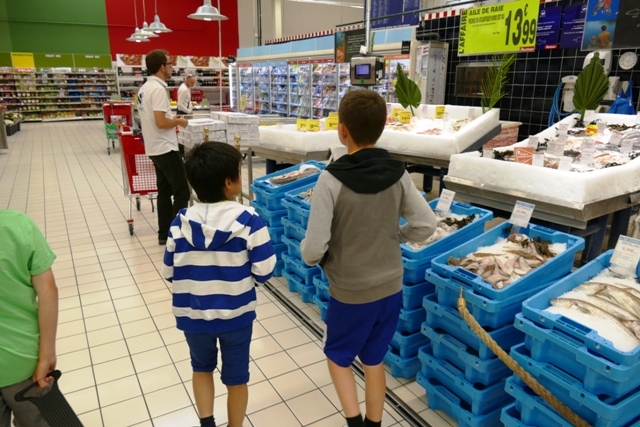 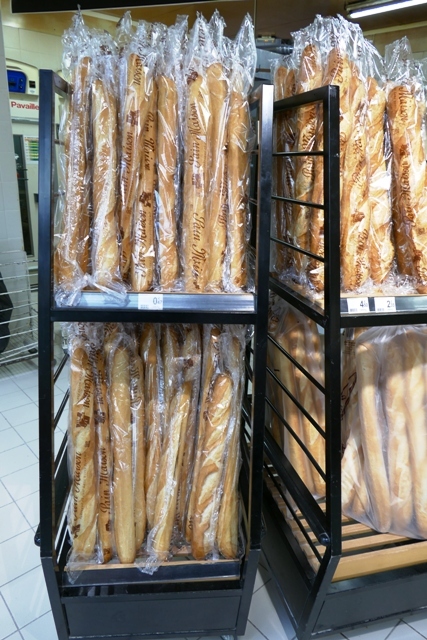 On the way back we also found time to 'faire des courses' (go shopping) at the Auchan store near to our base! 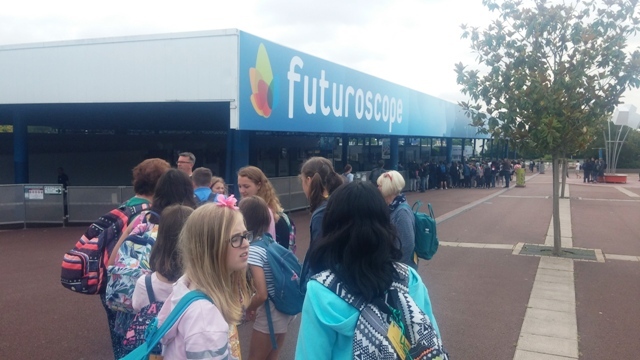 Thursday saw the regular visit to Futuroscope with our French pen pals, where we experienced some of the amazing simulator rides. 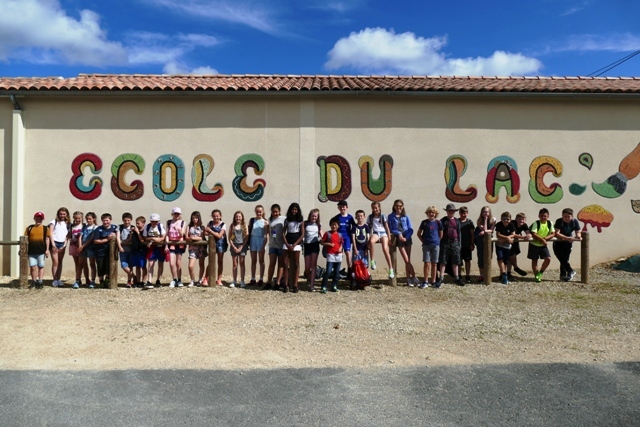 Because of our early departure time on Friday morning, at the end of the afternoon it was time to say 'au revoir' to our friends. 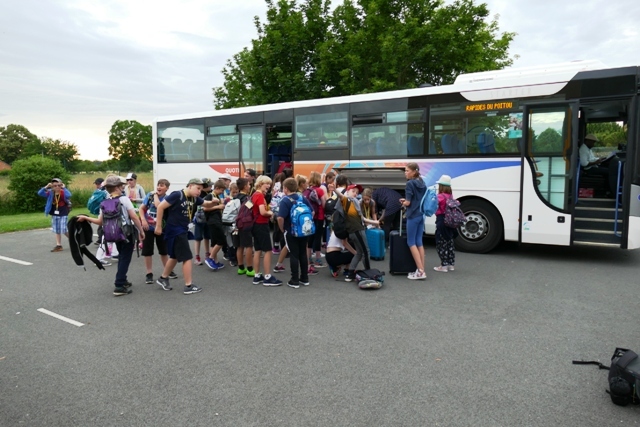 All too soon it was Friday morning and the start of the journey home. 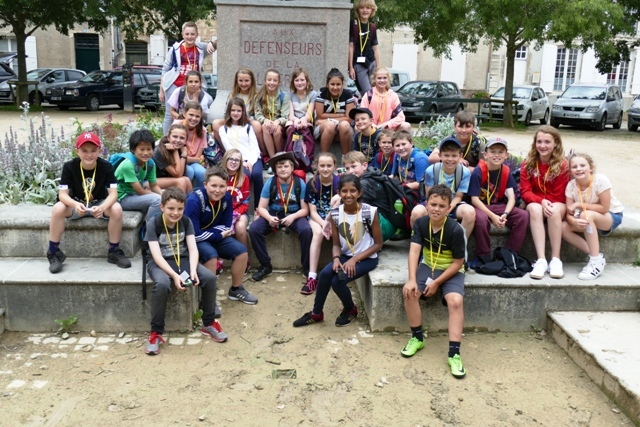 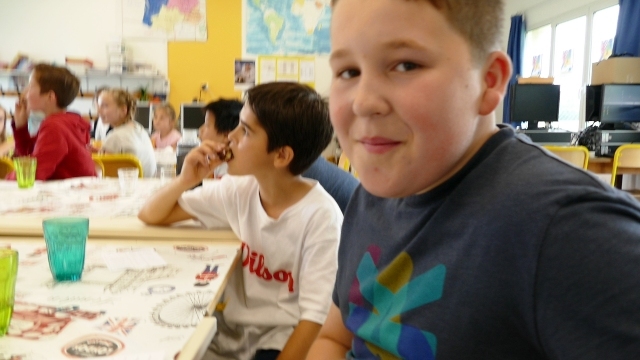 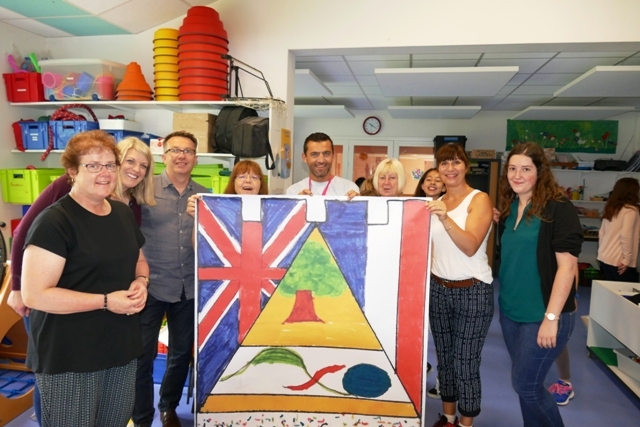 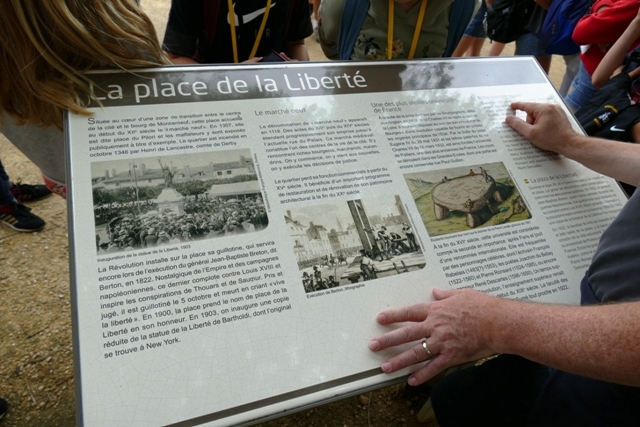 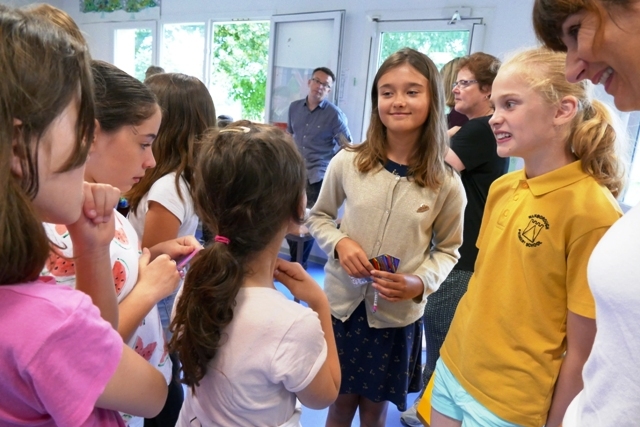 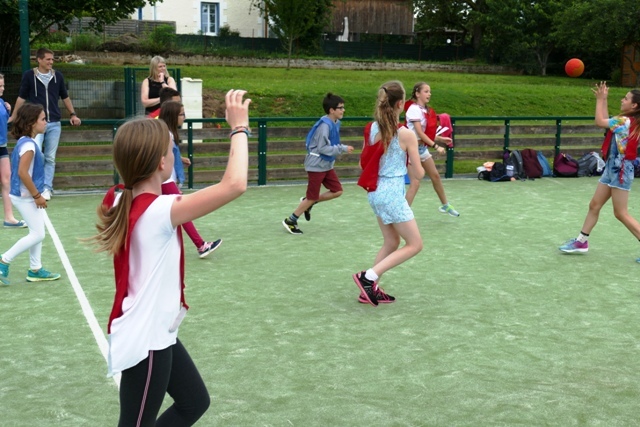 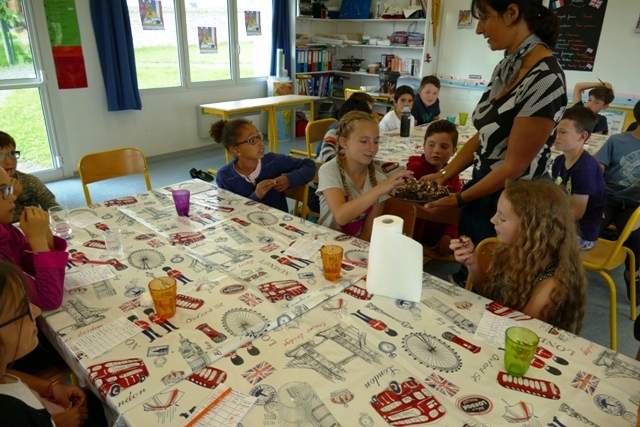 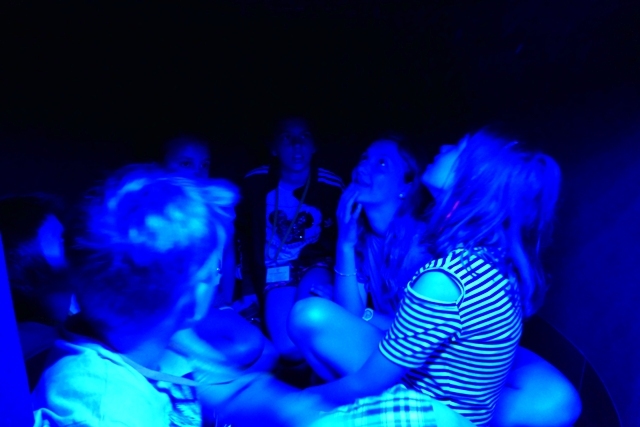 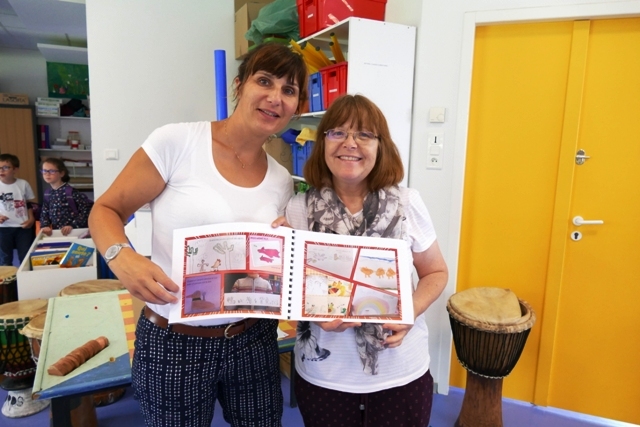 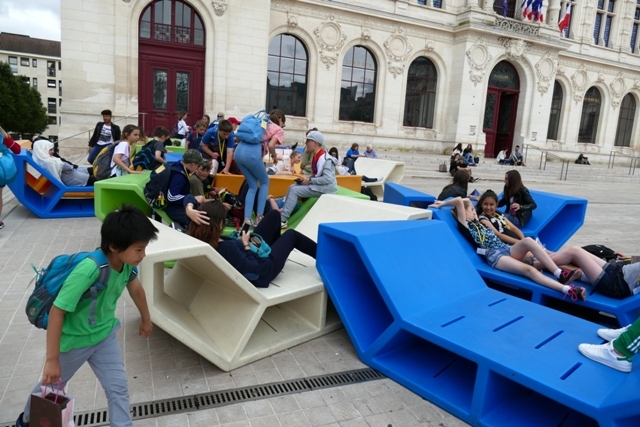 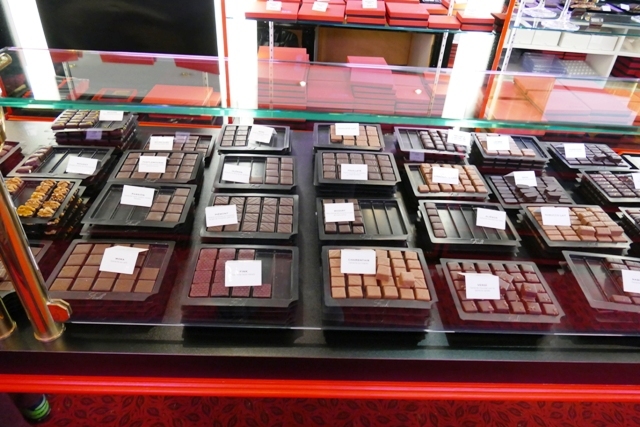 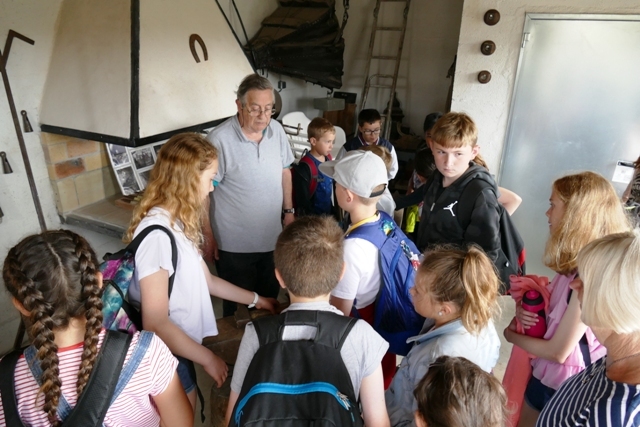 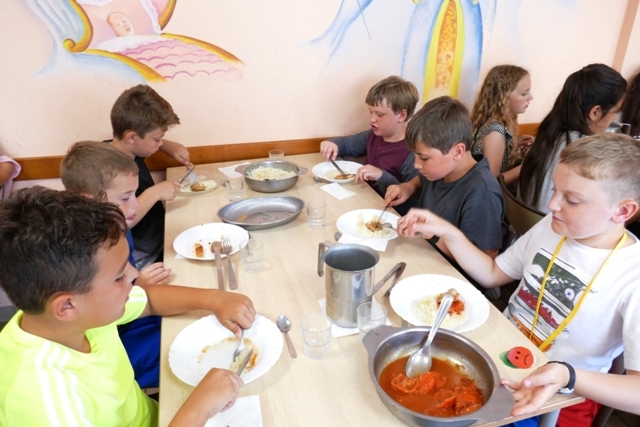 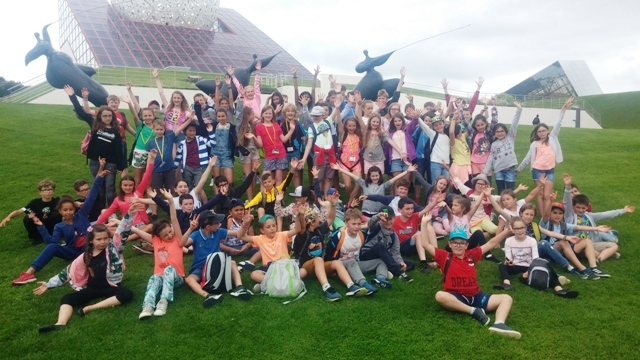 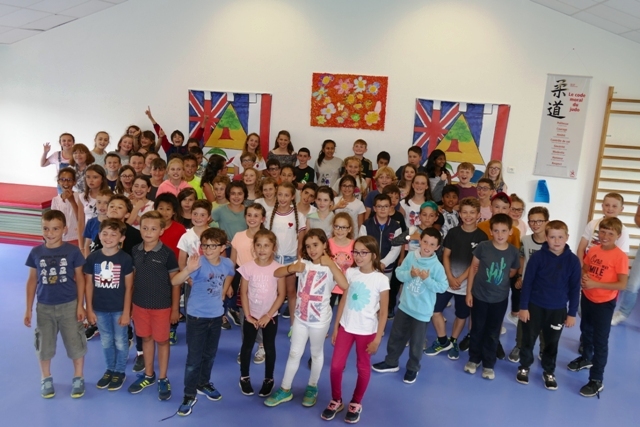 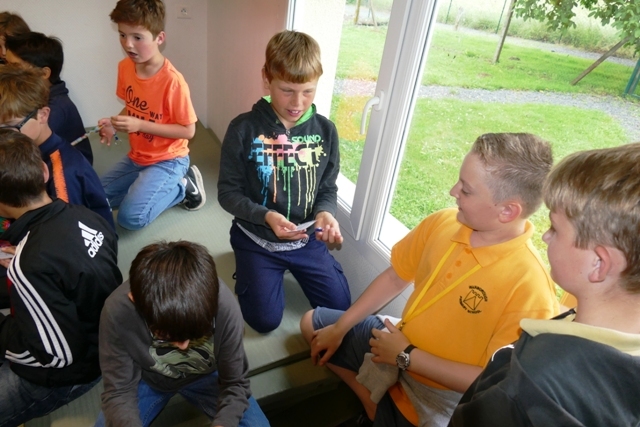 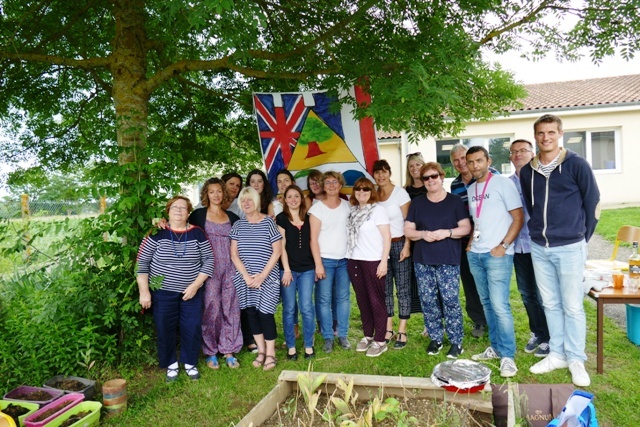 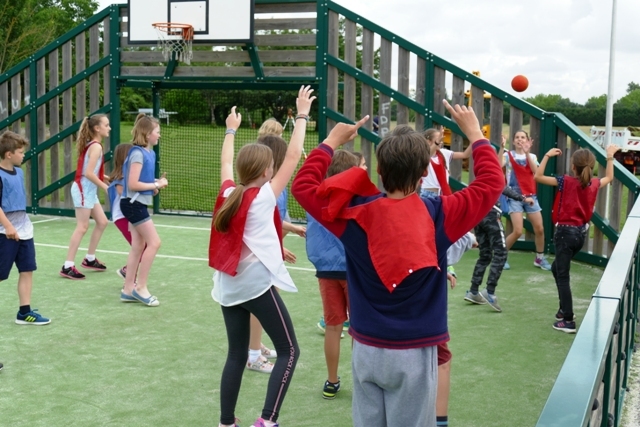 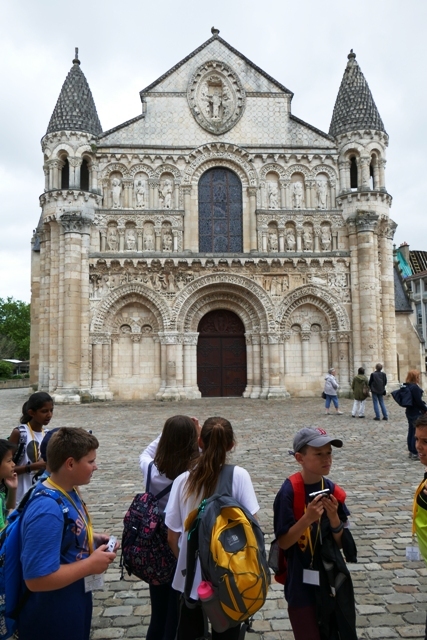 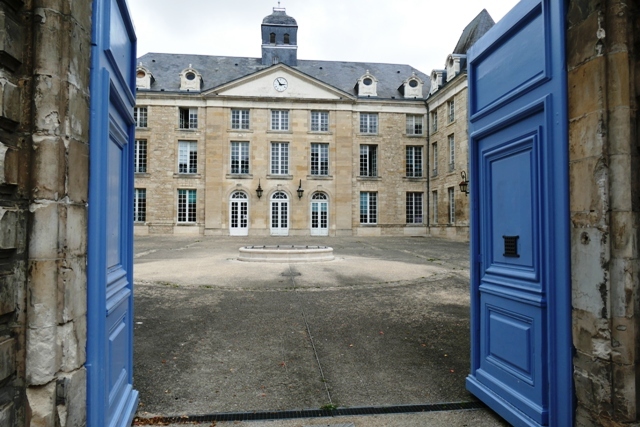 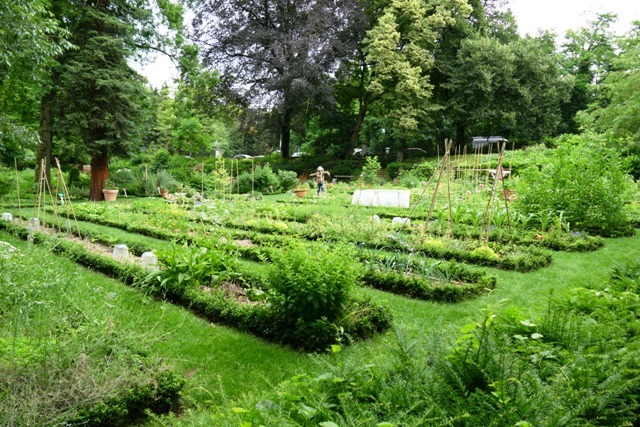 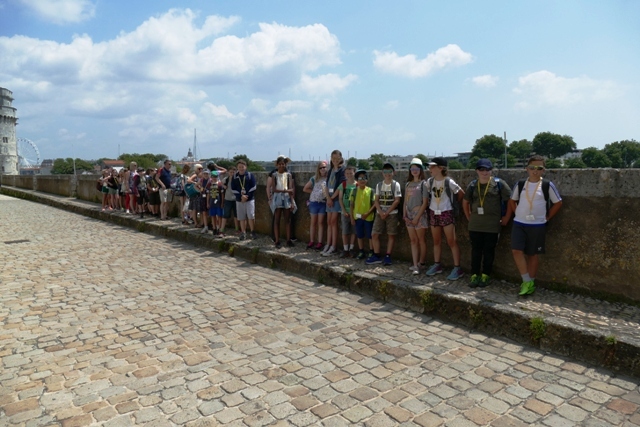 You can read more about our experiences in our French Visit Blog.